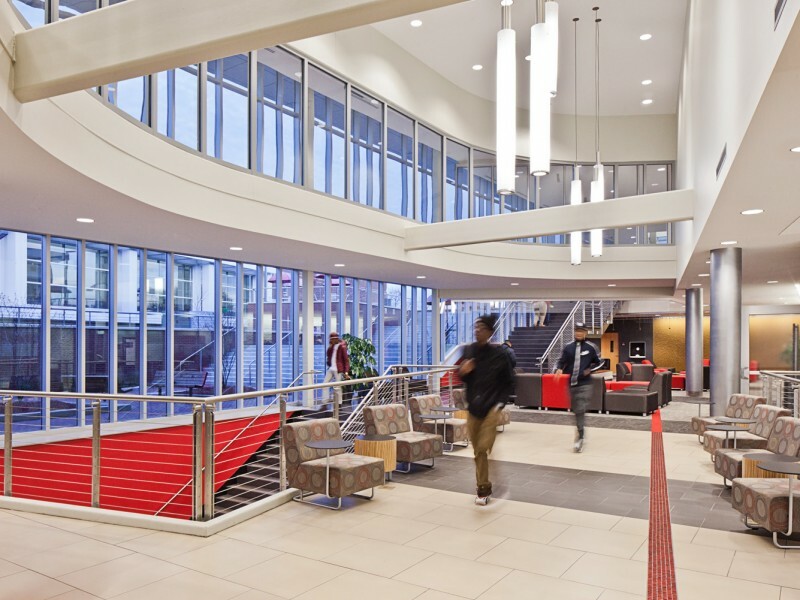 Following a successful study completed in 2005, Moody Nolan serving as Design Architect with Architect of Record Woolpert on completed this new three-story Student Activity Center. 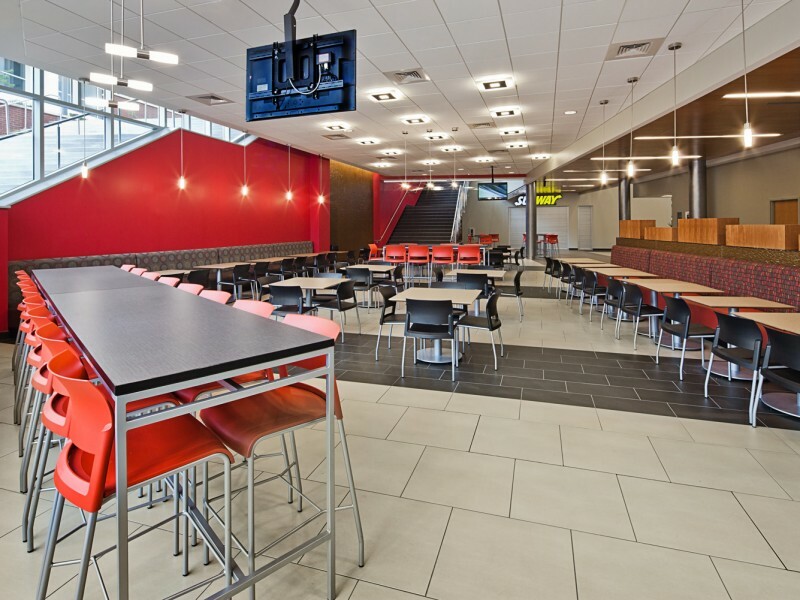 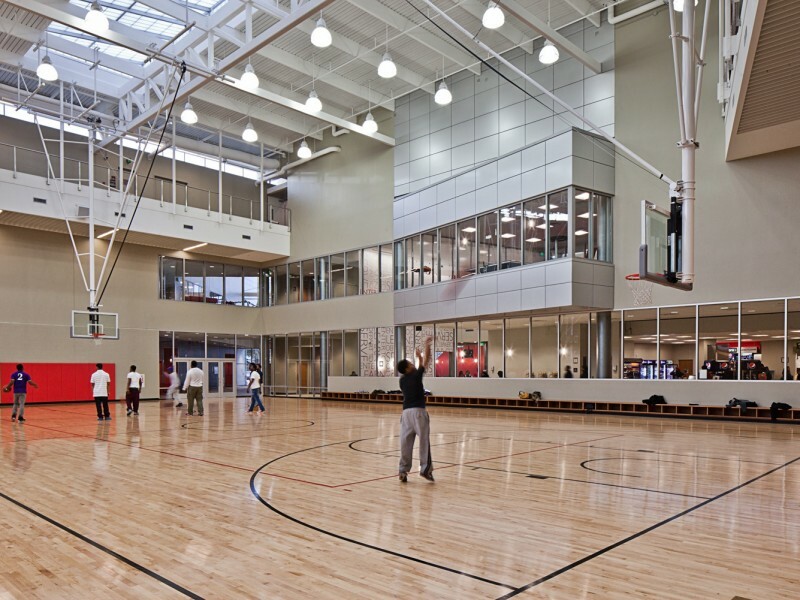 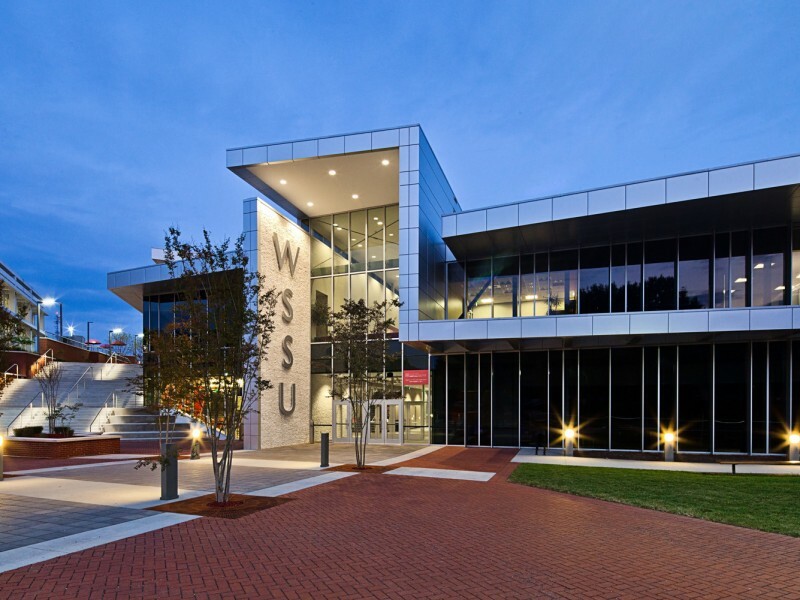 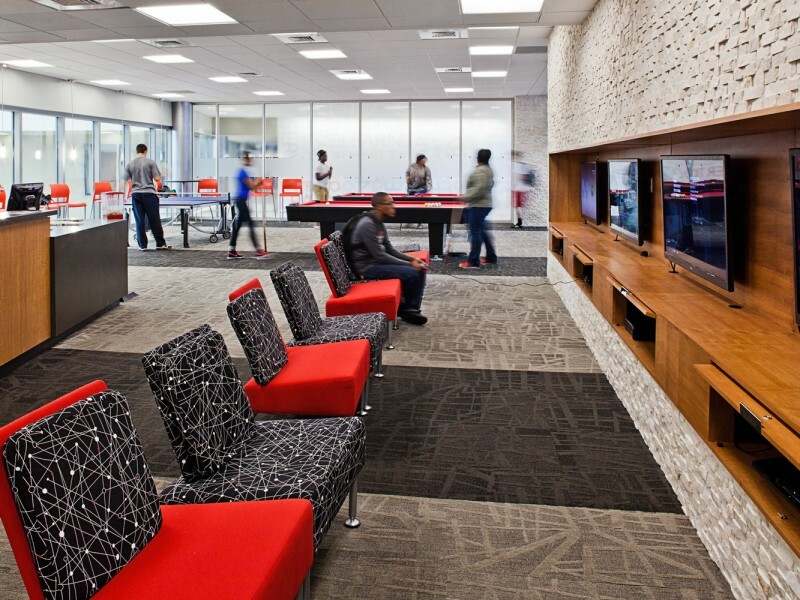 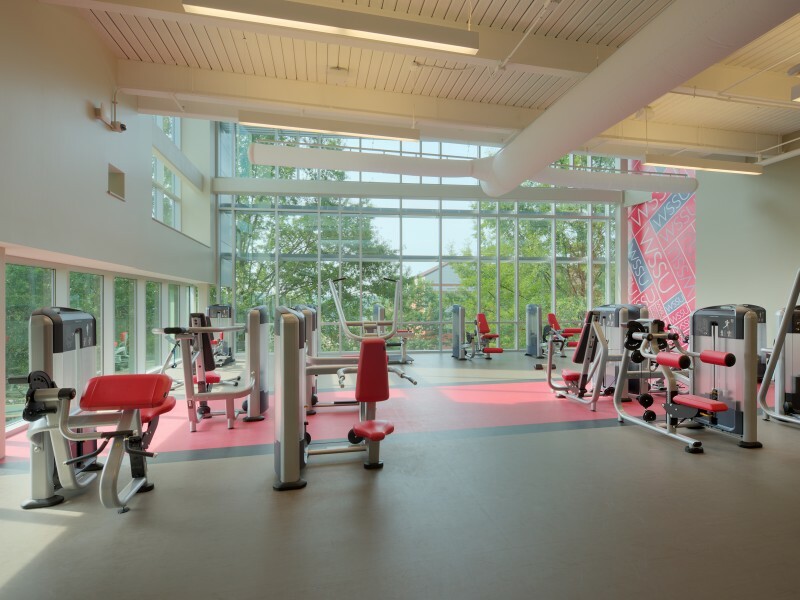 The building incorporates active and passive recreation spaces including a fitness area, two-court gymnasium and running track with a new food court and student government offices, facility administration and lounges for commuters. 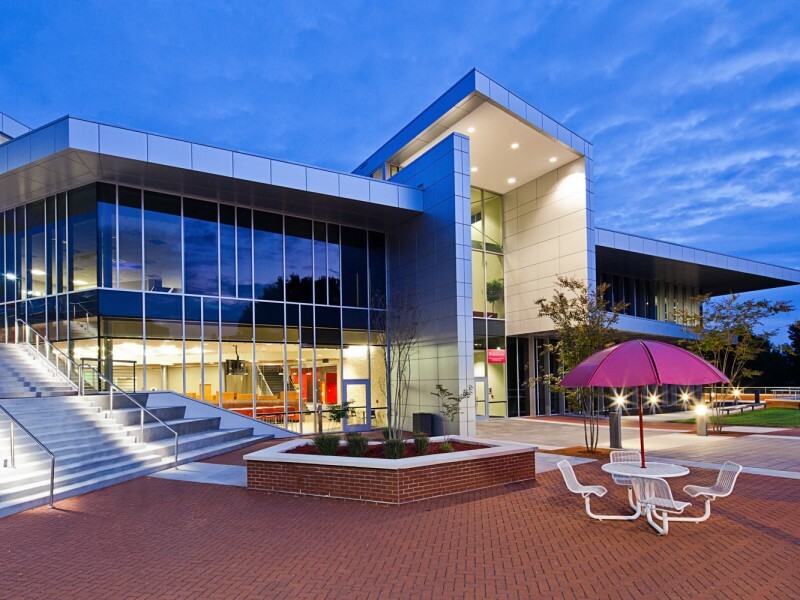 The student activity center also contains a beauty salon, barbershop and campus ballroom. 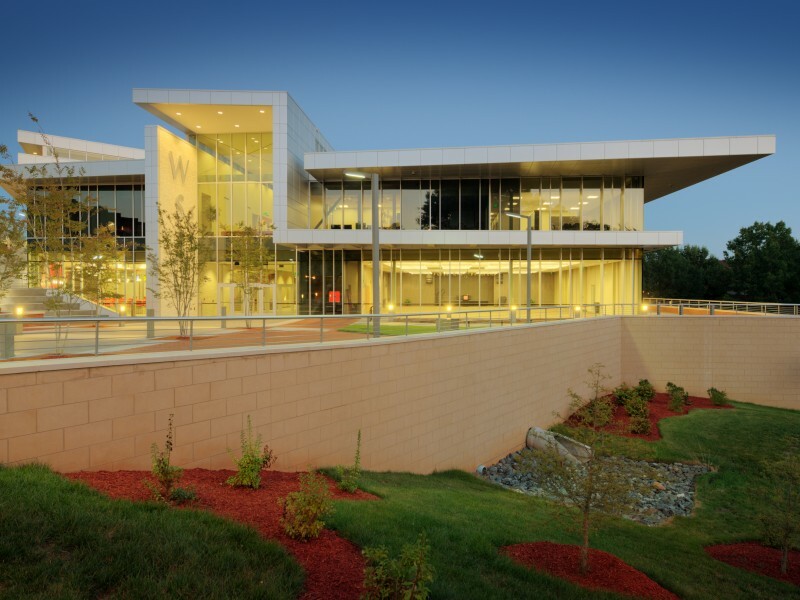 The hillside site provided challenges to serve both “upper and lower sections” of campus while creating exterior campus plazas that capture campus activity inside and out.